Greek and Mediterranean restaurant in Los Angeles. Restaurant hours. Local menus. Catering options. Find sandwiches, super-wraps, entrees and more. A new location with beer and wine for all the west siders that have been craving great Greek grub !! 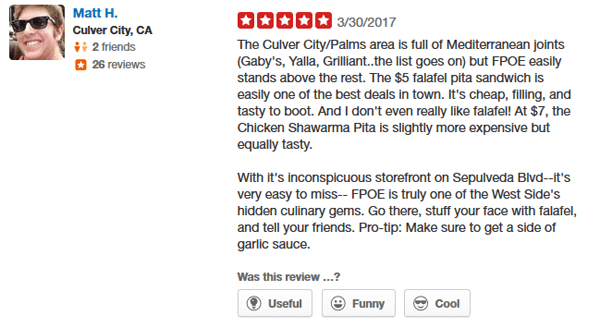 Whether you are feeding a client meeting or your whole company, George’s Greek Grill online ordering, on-time ratings and reviews, and insanely helpful 5-star customer service make it easy to find and order catering anywhere in the U.S.
George’s Greek Grill is available online and on demand. Never again waste time calling restaurants to ask if they deliver to your location. Instantly identify caterers who serve your address, and filter by food type, budget, and more. Then, create, cancel, or modify orders 24/7/365. © 2017 George’s Grill Greek | All rights reserved.